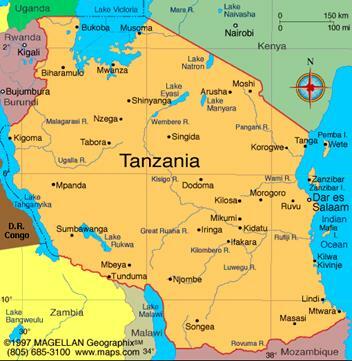 Lunji Estate is located in the Southern Highlands of Tanzania’s Mbeya Region, at the foot of the Mbeya Peak; at 2830 m, one of the highest mountains in the Southern Highlands of Tanzania. The area is of exceptional beauty and very diverse in flora and fauna. Best times of the year to visit are May to July and November / December. About 5% of the annual yield at Lunji Estate is Peaberry. Normally the coffee at Lunji Estate is fully washed and naturally fermented before rack sun-drying. In the case of our peaberry micro-lot, the coffee is dried inside the fruit (natural process) and hulled before storing in parchment. Stephen Armstrong simply doesn’t accept that some people don’t like coffee. He can’t relate to it. It’s incomprehensible. He’ll find them the right coffee. It’s only a couple of minutes into an interview with a coffee non-convert when he declares that java has 800 flavour compounds, compared to wine with 250. “Coffee is, hands down, the most complex beverage on the planet, ” says Armstrong, 42, a man with a variety of careers in his past, who’s decided that coffee is the way he can make the world a better place through his company Speakeasy. Armstrong is a direct trade coffee importer, roaster, wholesaler and retailer. Armstrong operates the Speakeasy Café on Ferguson Avenue North on weekends. In the small art deco space painted mauve outside, customers can buy coffee by the pound (prices ranging from $20 to $70) or the cup, sample new beans or take part in tastings (cuppings in the coffee world) or learn the right way to brew the perfect cup. More on that later. His business is in growth mode. 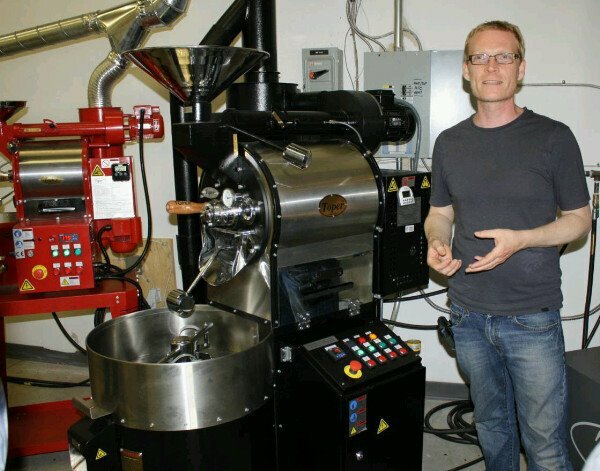 Armstrong has just opened a new micro-roastery in a former industrial site on Sherman Avenue North, that will join a roastery he owns in Kingville, Ont. He’s also this week closed a deal to buy The Ultimate Bean, a fair trade and organic coffee company out of Georgetown. That acquisition will give him a client roster buying 4,000 pounds of coffee each week, roasting equipment, grinders, an invoice and accounting infrastructure and a developed brand. He will run The Ultimate Bean as a fair trade organic company and Speakeasy as a direct trader. Armstrong works directly with coffee bean growers, helping them improve their crops and, if satisfied with the quality, buying the entire harvest. He calls it sustainable direct trade, pointing out that 90 per cent of the world’s coffee is grown on farms of three hectares or less. While he supports fair trade, where growers pool together in a co-op to have some power in the market, he says that model isn’t about quality. So, Armstrong travels to coffee farms in Mexico, Kenya, Colombia and elsewhere to offer advice and direction to growers. His training allows him to detect problems and identify where they’ve happened in the production chain. He is one of only 14 Q-Graders in Canada. It’s a licence earned through the Coffee Quality Institute after five days of rigorous exams. Armstrong is also a member of the Roasters Guild and teaches roasting classes for Toper North America. Of his current offerings, Armstrong is excited about a Blue Mountain bean grown in Mexico, the only crop of the variety grown outside Jamaica. He has bought all 13 bags of this crop (152 pounds each). Where other Blue Mountain coffee sells for $60 or $65 a pound, Armstrong sells his Mexican beans for $25 a pound. Armstrong was also the winning bidder for a Nicaraguan coffee deemed a Cup of Excellence. Those 17 bags of beans are considered among the top in the world. This year, he added award-winning coffee creator to his list of accomplishments. Armstrong’s blend of Ethiopian coffee beans, called Kochere Gayo, was the Gold Bean java at the prestigious SIAL competition in Toronto. Based in Paris, SIAL is one of the world’s biggest food expositions. For Armstrong, coffee is a niche business. About 90 per cent of the coffee market is covered by corporate sellers, but Armstrong says there is plenty of room for small, independent roasteries selling interesting coffees. Armstrong markets his world exclusives to coffee aficionados around the world. For instance, he has Japanese clients who pay $55 just in shipping every two weeks for four pounds of his Cup of Excellence coffee, which costs $30 a pound. He is particularly proud of the world exclusive on his Kenyan Othaya coffee. With undertones of lychee fruit and red currants, it’s the most expensive green bean he’s ever bought at $9 a pound. To put that in perspective, he could buy a quality fair trade organic green coffee from an importer at $4. Armstrong bought all 750 pounds of Othaya from its grower and was offered world exclusivity for future crops. Speakeasy supplies to restaurants and cafés and has recently signed a deal to provide some of the coffee services to the University of Windsor. Armstrong says he can offer better coffee at the same as the current supplier to the university. He hopes to work out similar deals with other campuses, including McMaster. Armstrong is a father of five, ranging from 2 to 15, who landed in Hamilton when his partner Andrea Robertson came to McMaster for the midwifery program. She is now a professor at Ryerson and is working on a PhD from the University of Western Ontario. The son of oil industry employees, Armstrong was born in Northern Ireland and grew up in Thailand, Saudi Arabia, East Germany and Portugal. His career path has been just as varied. He’s a journalism graduate from Concordia and has worked as a freelance writer, a music producer, a DJ and a chef. Armstrong is fascinated both by the science of coffee growing and roasting and the sensory experience of enjoying it. He brews a cup of coffee with the care of an artist. He weighs the water and the freshly ground beans. “What you don’t measure, you can’t make better, ” he explains. He puts the grounds in a heavy, waxy-looking filter balanced in the opening of an hour-glass-shaped glass vessel called a Chemex coffee maker. He pours a small amount of hot water (he lets boiled water sit 45 seconds first) over the grinds. He calls this blooming, and says it allows carbon dioxide to blow off and aids with flavour extraction. Finally, he pours the water through the filter, carefully watching the digital scale. He has a probe that measures the total dissolved solids in the liquid. The ideal is 1.25, he says. If it’s not there, you have to look at the variables like whether the water was too hot or the grind too fine. The difference between experiencing his coffee and that sold in tins in grocery store, is something like the difference between a frozen dinner and a gourmet meal, he says. Store-bought coffee is stale, he says. It has to be because fresh-roasted coffee gives off carbon dioxide and would blow up its packaging. More than 125 million people worldwide rely on coffee production for their livelihoods. Many of these small coffee farmers struggle to meet their basic needs. The Coffee Quality Institute http://www.coffeeinstitute.org/ believes quality is the most important variable affecting price and livelihoods; working collaboratively with producing and consuming countries to create the institutional changes that can build a more sustainable marketplace. At the CQI’s core is a commitment to empowering coffee producers with the tools to compete in the world marketplace; as well as increase reward for quality and transparency. Simply put, prosperous communities translate into a sustainable supply of quality coffee. It’s difficult to facilitate a discussion process around coffee quality when there are no established protocols or common language. It is important to exchange consistent and reliable information on the crop throughout the supply chain. The Coffee Quality Institute (or CQI) established the Q Grader program as a professional accreditation for coffee graders. This non-profit program aims to ease the exchange of information among professionals working in the coffee industry. 1. At the heart of the CQI is a multi-faceted “solution” based approach. The CQI stresses that Q Grading comes with responsibility; it’s a license, not a certificate. People’s livelihoods are influenced by the determinations of a coffee’s quality. It’s not enough to know whether or not a coffee is good or bad; more important is to understand where these “defects” occur in the process chain and how to resolve them. i.e. Full blacks? Don’t pick up cherries that have fallen to the ground; Chipped / cut beans? Figure out if it’s happening during pulping or at the dry mill and adjust the equipment accordingly. The happy consequence? Issues of quality are resolved, the crop gets to market, and it often fetches a higher price. 2. Credentialing = credibility. There’s a lot to be said for holding one of the most highly-regarded qualifications in the coffee industry. There are always going to be highly accomplished people (particularly in the food industry) who have arrived at their positions purely from a vocational stream; but no matter what industry you work in, one of the truths of the upper echelons is credentialing. It may seem redundant to certify in a skill set you think you already have and may practice regularly, but if nothing else, it means not always having to prove your professional worth. So back in May I decided to set out on the road to the Coffee Solutions http://www.coffeesolutions.net/ facility in Hopedale, Massachusetts. My Q Grader process would be overseen by Rob Stephen, whom I’ve worked with over the last few years and whose breadth of coffee knowledge and industry experience has served as a model for me. Rob, Beth Anne (Q Instructor in-training), and Helen worked tirelessly to ensure everything flowed according to schedule and that everyone involved was more or less organized, well fed, and comfortable. I couldn’t have expected more. On a purely practical level, the 8-hour drive to Massachusetts from my home in Hamilton was the closest, most affordable way to participate in the 5-day intensive. What is a Q Grader? What happens @ Q Grader exams? There are 9 different test areas; 22 exams over 5 days. These are full days so don’t make any other plans…and despite great intentions, most of my evenings were spent resigned to my hotel room following days that would accurately be described as “intense” sensorially (hence Q Grader Intensive) I did manage to get myself out to the Coffee Solutions’ traditional Q Bowling night, and a mandatory run to Cape Cod…being from Ireland, I can’t ever resist the opportunity to go to the ocean. Sensory skills test your ability to distinguish three of the basic tastes (sugar, salt and sour) You must not only be able to differentiate between concentrations of tastes, but also identify what type of tastes are included in a blend of two or three tastes at the same time. The three sections of this test are: reference sample, blind identification, and mixture identification. This was one of those sections that I needed to retake; fortunately I wasn’t alone so the sensory skills section was included in our Friday “scheduled” retakes. Definitely not one to over think; it’s more of a “dig deep” exam. Brutal. Matching aroma pairsis based on Le Nez du Cafe aroma kit developed by Jean Lenoir. For each test nine numbered aroma vials and six letter-coded aroma vials are selected from the same group. The goal is to match the six letter-coded aroma vials to their corresponding numbered vials. The participant must match similar aromas and describe the name of at least three. Candidates are placed in a dark or red room to avoid matching the colour and codes of each bottle. There are four tested aroma groups: Enzymatic, Sugar Browning, Dry Distillation, and Aromatic Taints. Organic acid matching tests your ability to distinguish the difference between a control cup of coffee and one “enhanced” with acetic, citric, phosphoric, quinic, or malic acid. It is amazing to experience the differences between a control cup of coffee and another with citric acid. The cup of coffee with citric acid significantly increases the acidity, flavor and body compared to the control. This was a particularly interesting section as a roaster; giving me a better understanding of how acids are either enhanced or degraded depending on heat (roast) and how that influences the cup profile. Bear in mind that adding food grade acids to a control cup is a little different than when acids occur naturally as a part of a particular coffee’s profile; my mouth felt most battered by the end of this day’s exams. The ability to cup and rate coffee attributes consistently, using SCAA standards for Coffee Cupping & the SCAA Cupping Form to record results is mostly the point of the process. Theoretically, any given value to fragrance, aroma, flavour, aftertaste, acidity, and overall impression should have similarity to any other cupper’s points provided they share the same cupping session and similar experience / sense memory. There are five sections covering coffees from Brazil, Colombia, Central America, East Africa, and Indonesia. The key here is to make decisions; being a good cupper means having an opinion. Triangulations examine your ability to differentiate coffees from each other. Each triangulation consists of six flights of three cups each; two cups are the same and one is different…similar to the format used in “Cup Tasters” competition. The cupper’s task is to select out the one that’s different in each set. Candidates are placed in a dark or red room to prevent distinguishing between coffees based on colour, surface oil etc. There are five triangulations for a total of 30 sets. Green Coffee Grading distinguishes between different types of green coffee defects and the ability to identify and classify them. Based on the number and types of defects, participant must be able to grade the coffee quality as either “specialty” or not. Roasted Coffee Grading evaluates roasted coffee for “quakers.” Also tested is the ability to evaluate coffees that are over roasted, under-roasted, or baked vs. a coffee that is roasted per SCAA cupping protocol standards. The Agtron (the numerical roast level) must be identified as well as the attributes or defects cause by each type of roast. General Knowledge examines growing, post-harvest, and coffee trade regulations. This is one of the few exams that you can actually prepare for ahead of time. The CQI suggested reading list includes: Coffee Technology by M. Sivetz; SCAA Green Coffee Defect Handbook; Coffee Brewing Handbook; and the Coffee Cupping Handbook & Protocols. I particularly recommend Sivetz if you haven’t ever been to origin; its occasionally dated, but essential reading for that “big picture” understanding of what’s happening at the producer end. Retakes for failed sections are often scheduled into the day-5 itinerary (as was the case during my own particular Q experience), but no guarantees. Stand-alone retakes are available after the intensive week, conducted during other scheduled Q Intensives. There are, or course, associated fees and restrictions on the number of retakes you can do. For international prospective Q Graders, returning to the U.S. (or wherever there’s an SCAA Certified Cupping Lab) retake opportunities could be difficult and costly…and to my understanding, only about 20% of participants pass all components by the end of the intensive week…so in most cases, you should expect to have to retake sections at some future date. Fortunately for the Canadian contingent, there is a certified lab in Montreal where Q intensives are held about twice a year. Q courses are held regularly throughout the United States. Check the CQI website for upcoming dates & locations. Despite the stress, cost, retakes (almost no one escapes this disappointment), limited opportunity, and time away from business, I would have to say that the whole Q Grader process was well worth it. I like to believe that I have a better understanding of all aspects of what I do in the coffee industry. I am better equipped to communicate with others in the process chain using shared “coffee” language, and draw from a broader palate of sense memory and experience when evaluating coffee. More importantly for me, I’ve garnered the potential to enact positive change all the way along the coffee chain; from producer to roaster. I’ve always felt philosophically aligned with the CQI’s strategies for sustainable economics through quality. Now, I get to play a part in a “larger-than-me” mechanism that’s committed to systemic change in coffee. So why are you not Q? Brian on The Way of the Dodo? foraslanandthevolunt… on The Way of the Dodo?